For purchasing options contact us on info@cindersbarbecues.co.uk or call us on 01524 262900. 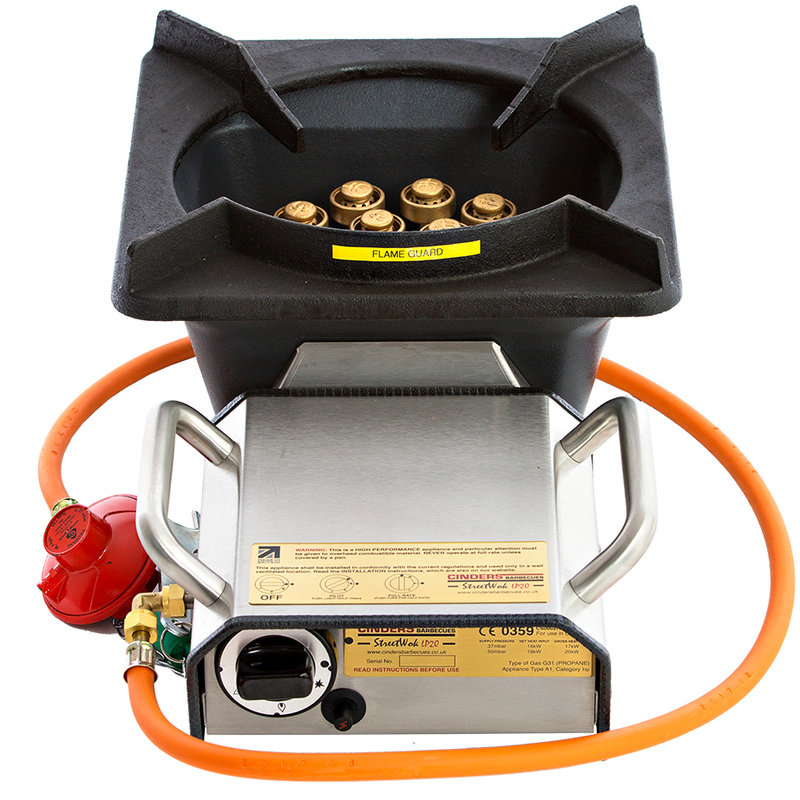 The StreetWok LP20 packs up to 16kW of controllable punch into a portable appliance weighing only 17kg. 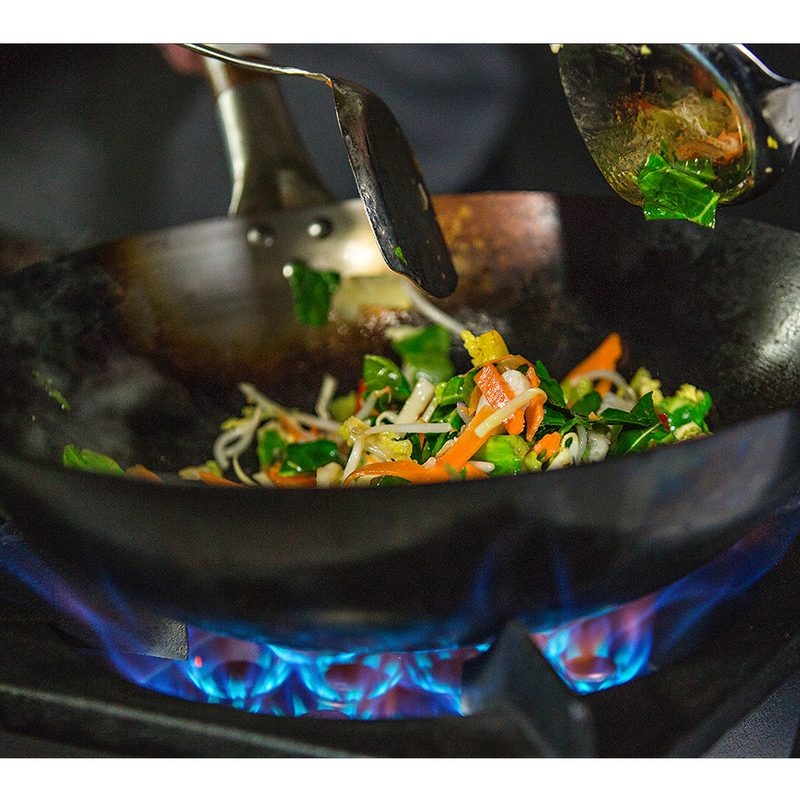 This kind of power is usually accompanied by a loud roar, whilst CINDERS uses a ‘flower head’ array of patented low pressure burners to diffuse the sound and spread the heat around the base of the wok. 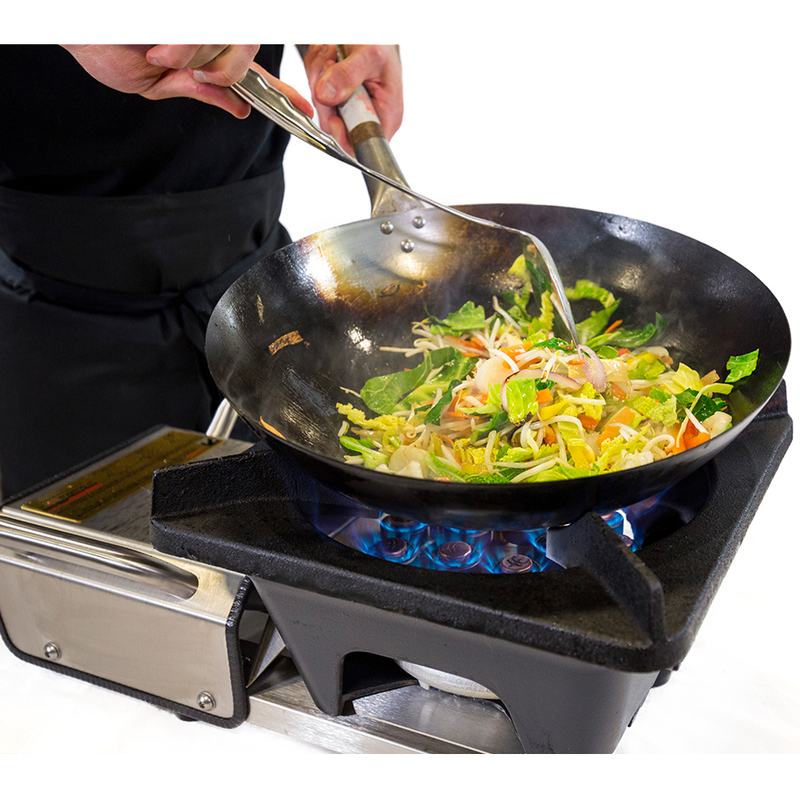 Spreading the heat also avoids the difficult wok ‘hot spot’ and allows heat to penetrate food faster and more evenly, enabling more reliable throughput without specialist training. Height: 220mm. Length: 580mm. Width: 340mm. Weight: 17kg. 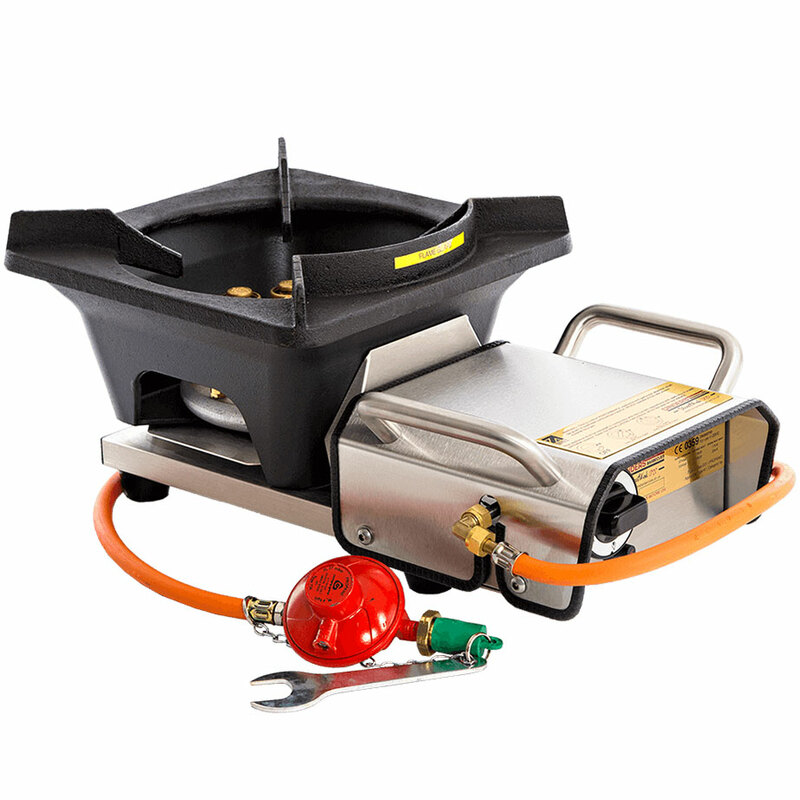 This wok cooker is for use with propane cylinders of 19kg (12 hrs run time) with L/H female screw thread connections. e.g CALOR GAS RED CYLINDERS. BS EN 16129:2013 with L/H male screw thread and brass 'bullnose' connection. Output pressure 37mbar/50mbar. Maximum Service life 5 Years. 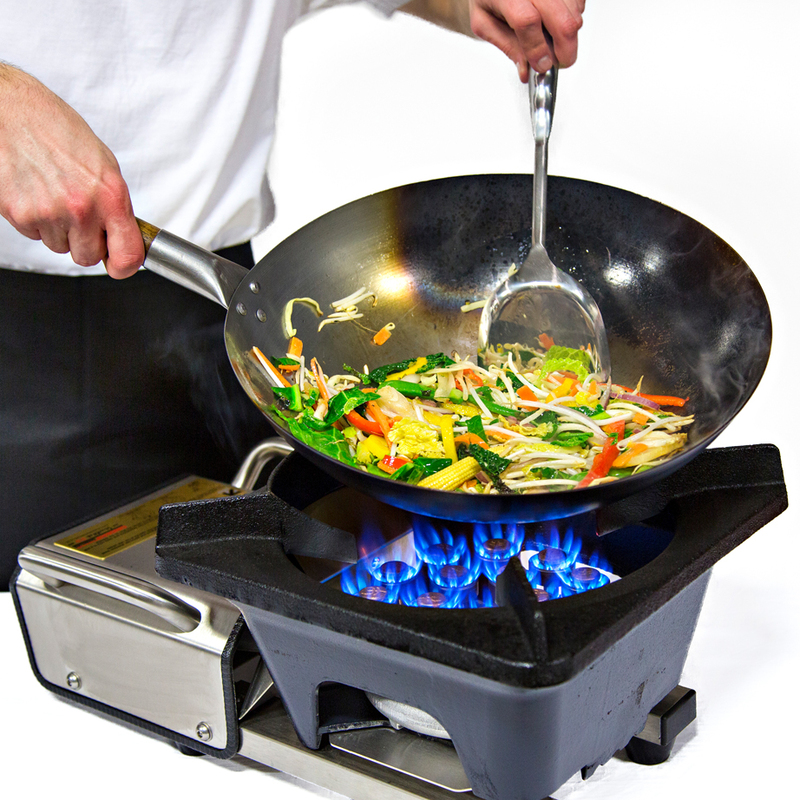 Take the Wok Cooker from the carton and remove all plastic film and plastic ties. 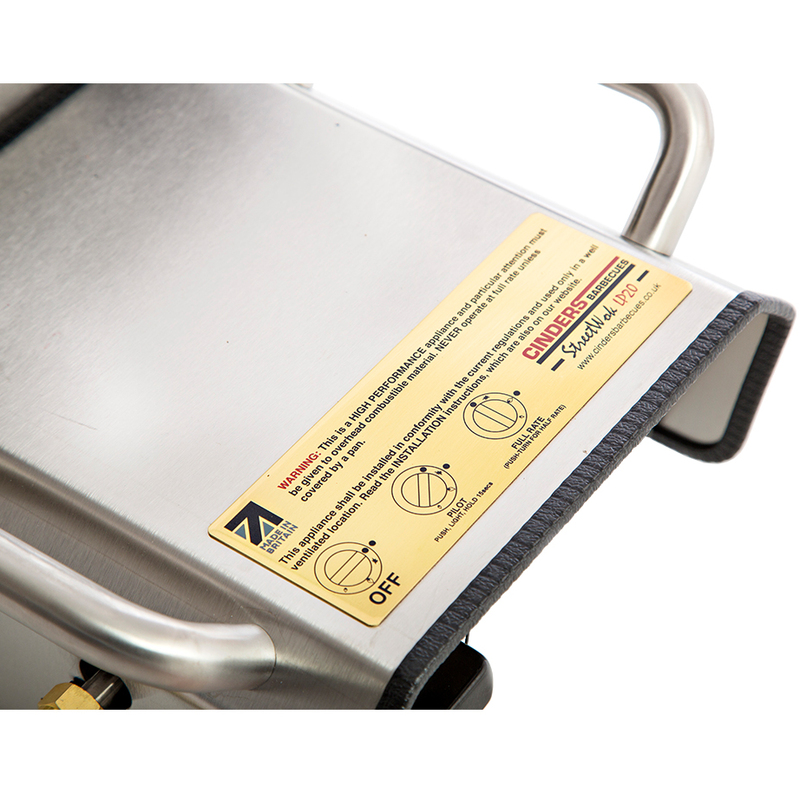 Visually inspect the appliance for any sign of damage. Check the rubber hose is connected to the appliance and that there is no damage to the hose. If the hose is not connected, get a competent person to make the connection and ensure that a leak test is performed before lighting. 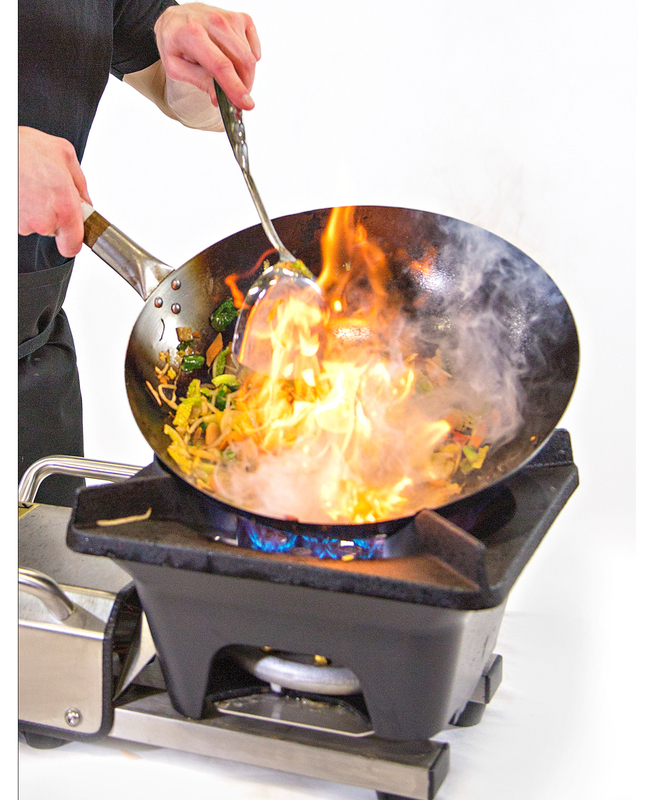 See ‘Lighting the Wok Cooker’, Page 5 for Leak Test instruction. 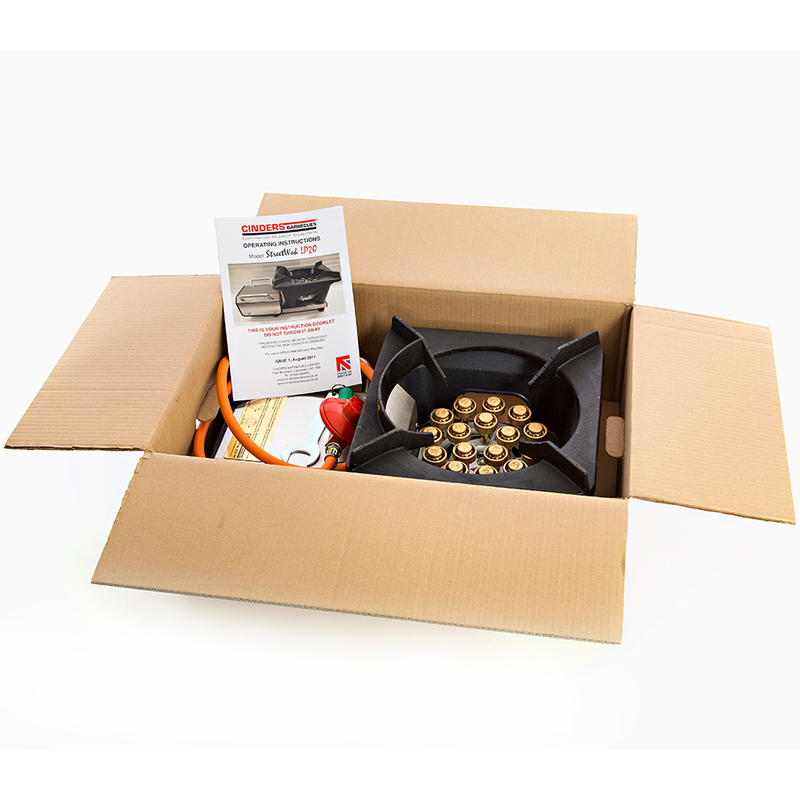 Installation must be in accordance with the regulations in force. 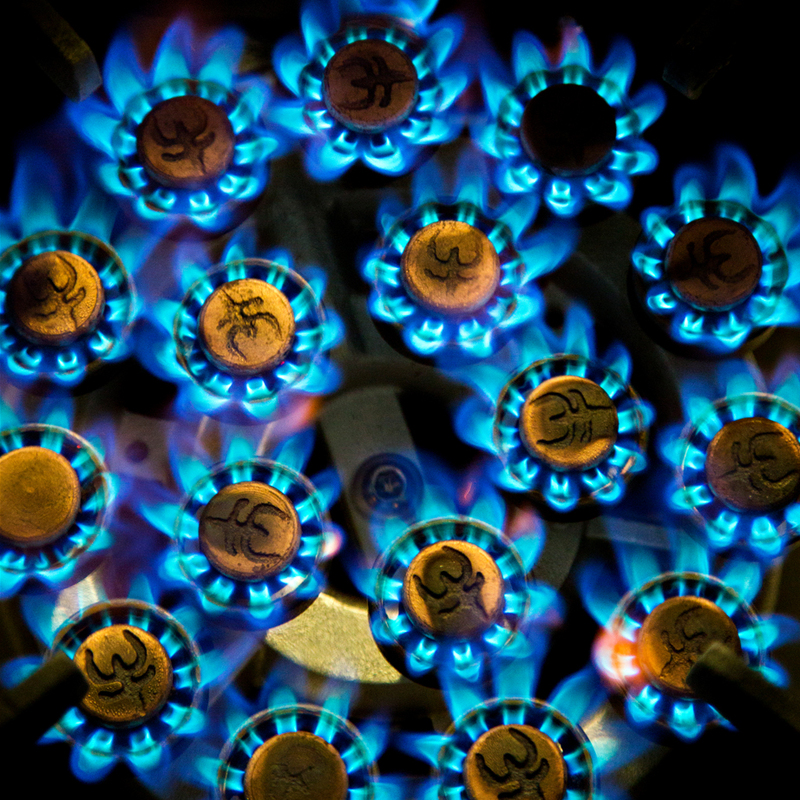 The installer must be a qualified gas engineer who will issue a Gas Safety Inspection Report if the original hose is retained, or a Gas Safety Certificate if plumbed to a supply. 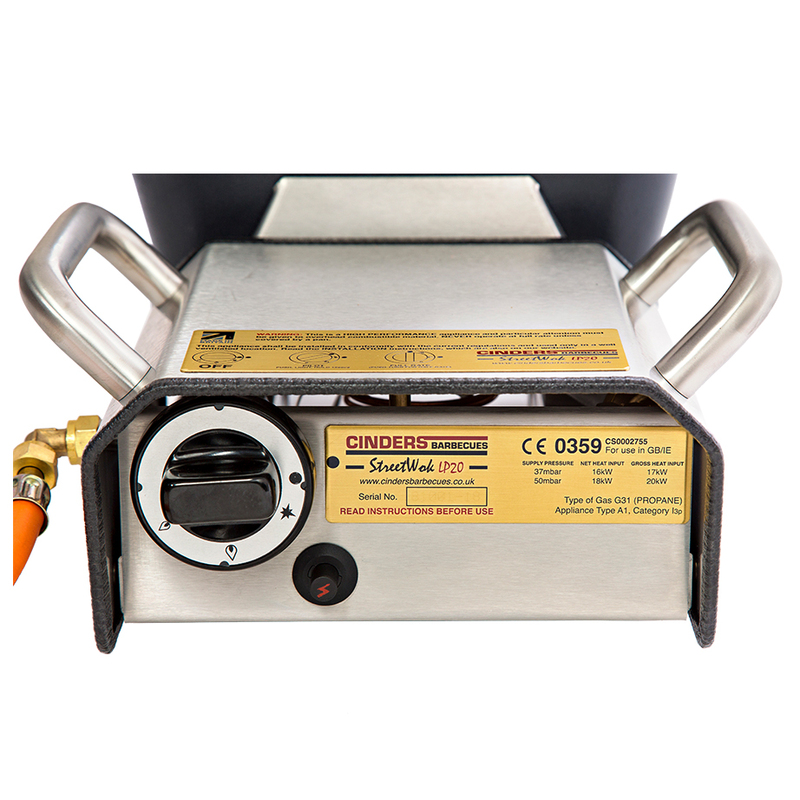 IMPORTANT This is a COMMERCIAL HIGH PERFORMANCE appliance and particular attention must be given to overhead combustible materials. NEVER operate at full rate unless covered by a pan.